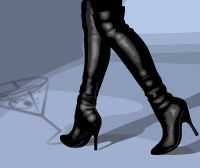 I only take a drink on two occasions – when I’m thirsty and when I’m not. 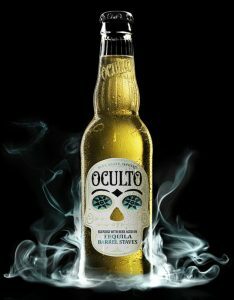 Anheuser-Busch InBev to Launch Tequila-Flavored Beer in U.S.
‘Oculto,’ Which Will Debut in Spring, Targets Younger Consumers. Anheuser-Busch InBev NV is launching a tequila-flavored beer called Oculto in the U.S. next year, hoping to attract younger consumers who increasingly choose liquor and Mexican beers. Separately, AB InBev said Wednesday that it was buying 10 Barrel Brewing Co., of Bend, Ore., the brewing giant’s latest push into the small but fast-growing U.S. craft-beer industry. Terms weren’t disclosed. Oculto, which will make its debut next spring, will be made with blue agave—the same plant used to make tequila—blended with beer aged with wood from tequila barrels. The new lager won’t contain tequila, but it will have an alcohol content of 6%, more than the 4% to 5% typical of American beers. The product targets a U.S. market that AB InBev has had trouble pursuing since it bought Mexican brewer Grupo Modelo SAB de CV for $20.1 billion in 2013. Mexican beers are among the most rapidly expanding parts of the beer industry. This year’s shipments of brands such as Modelo Especial and Dos Equis to the U.S. were up 17% through September, according to Beer Marketer’s Insights, a trade publication. Corona is the top-selling import.